Music is one of the most important aspects of our lives. Whether you’re feeling happy, sad, angry, on top of the world, there’s a song out there that you can relate to and is there for you. Every great memory, perfect workout session and love-filled road-trip is backed by music, highlighting moments and shared experiences. However, this music has got to come from somewhere. As an iPhone user, you should already be familiar with iTunes, regardless of whether you buy through the Apple Music store, online suppliers or CDs. The problem comes when you try to transfer music to iPhone or another iOS device. You want it to be fast, secure and undamaging to the quality of your audio files. But, this doesn’t have to be a problem anymore. Today, we’re going to explore the ins and outs of two of the most popular ways to transfer music from your iTunes account to your iPhone or iPad device, so you can listen to music on the go, no matter what life throws your way. Step #1 - Make sure you update your iTunes version, so you can be sure that you’re using the latest version. When you’re ready, open iTunes. Now connect your iPhone or iOS device using the designated USB cable. Both your computer and your iTunes window should recognise the device after it is plugged in. Step #2 - Click the ‘Device’ button located at the top of iTunes, located underneath the ‘Controls’ option. 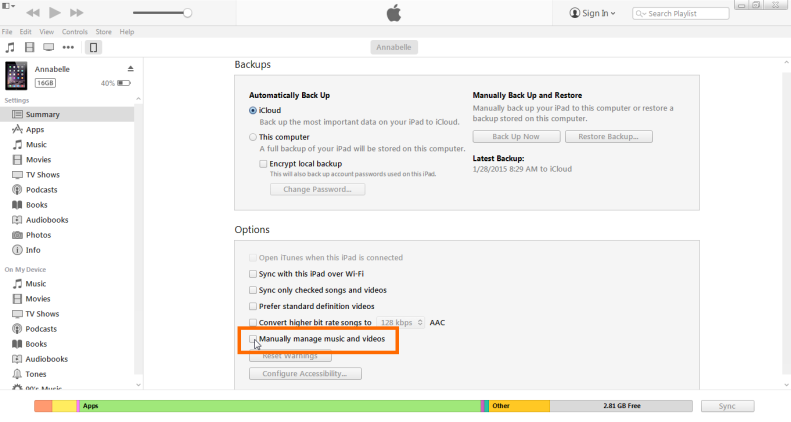 Step #3 - At the bottom, you’ll see an option titled ‘Manually manage music and videos’. Tick this box to be able to control your music manually. This will also disable the automatic syncing function that iTunes runs by default. Step #4 - Open your file explorer program and navigate to your iPhone’s music folder. Step #5 - In another window, navigate to your music files and then simply drag and drop them into your iPhone’s music folder. Alternatively, you can simply drag and drop your desired music files from your computer onto your iPhone by dragging and dropping from directly inside your iTunes software. 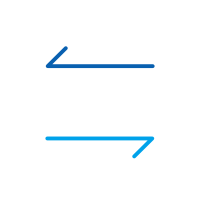 Although the above method may seem easy and simple, it doesn’t come without its problems. For some people, iTunes requires a lot of RAM on your computer. For others, it simply doesn’t work, or is too complicated. 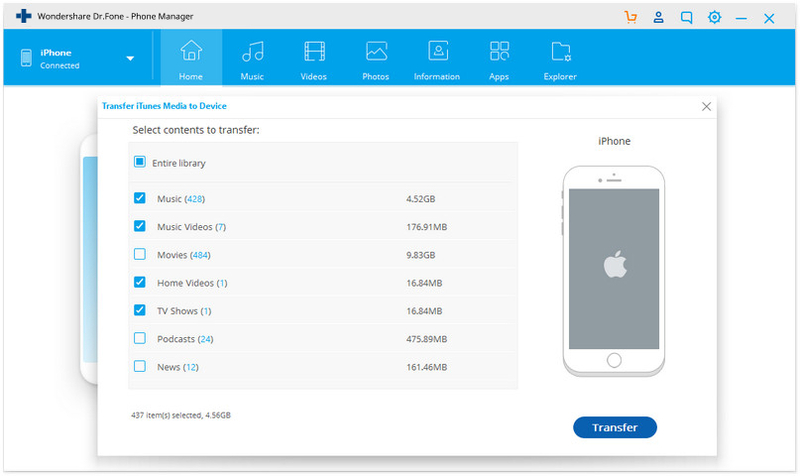 If you’re looking for a fast and reliable way on how to transfer music from iTunes to iPhone, it’s highly recommended that you use third-party software, most notably; dr.fone - Transfer (iOS). Step #1 - Download the software to your computer. Once complete, double-click the downloaded file and follow the on-screen instructions to install. Step #2 - Connect your iOS device to your computer using a lightening or USB cable. 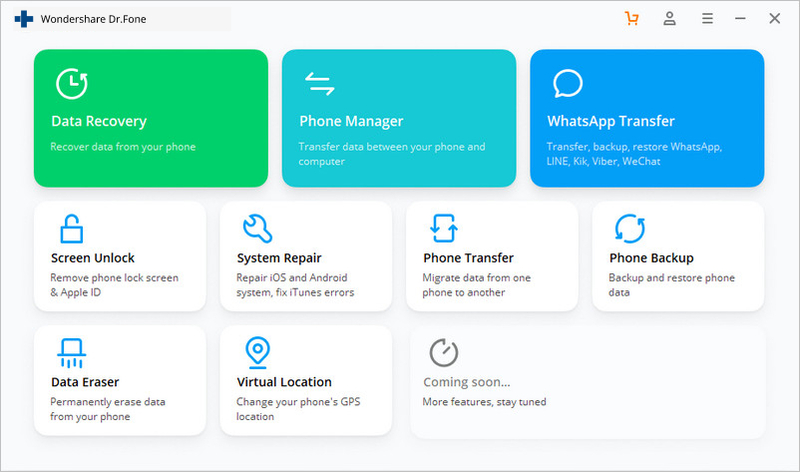 Dr.fone - Transfer (iOS) should recognise the device. Step #3 - On the main menu of the software, click the ‘Transfer’ option. Step #4 - In the Transfer menu, click ‘Transfer iTunes Media to Device’. Step #5 - In the next window, the software will start to scan your iTunes library, showing you your available files. Step #6 - On the results window, choose the file types (music in this case) you wish to transfer to your iOS device and click ‘Transfer’. This will transfer your music files to your iOS device within a few minutes, depending on how many files you’re transferring. Repeat this process for all the music you want on your device, and you’ll be ready to rock out no matter where you are. As you can see, there are two very easy ways you can learn when it comes to learning how to add music from iTunes to iPhone. While iTunes is considered rather powerful, there isn’t a simpler way than using dr.fone - Transfer (iOS). The software is fully compatible with both Windows and Mac computers, all kinds of iOS devices, including iPads and iPod Touch’s and even comes with a 30-day free trial period so you can whether or not this is the software for you. 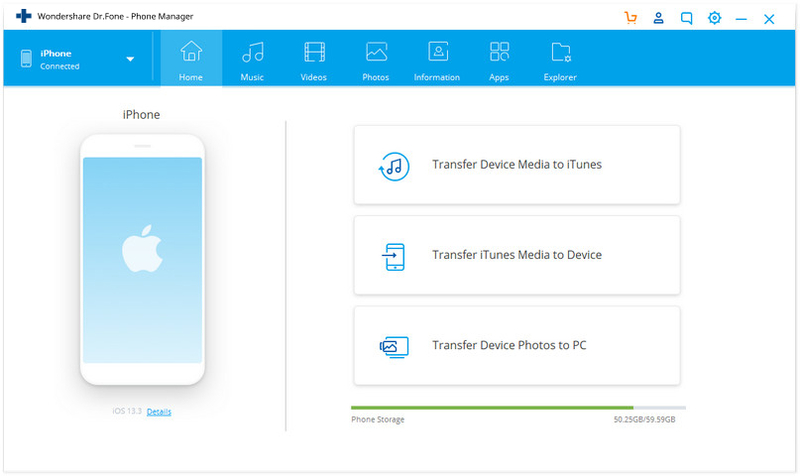 This makes it easy to learn how to transfer music from iTunes to iPhone, as well as your photos, videos, documents, audio files and more, so much easier, allowing you to access your files and media in the way it intended to be enjoyed. Are you still puzzled to transfer music from phone to computer? Get best methods to transfer music from phone to computer in this article.